Bullgog is a London Dry Gin, produced to create a smooth, balanced liquid with a citrus base. It’s a pliable and versatile product with multiple layers of flavours for maximum mixability. 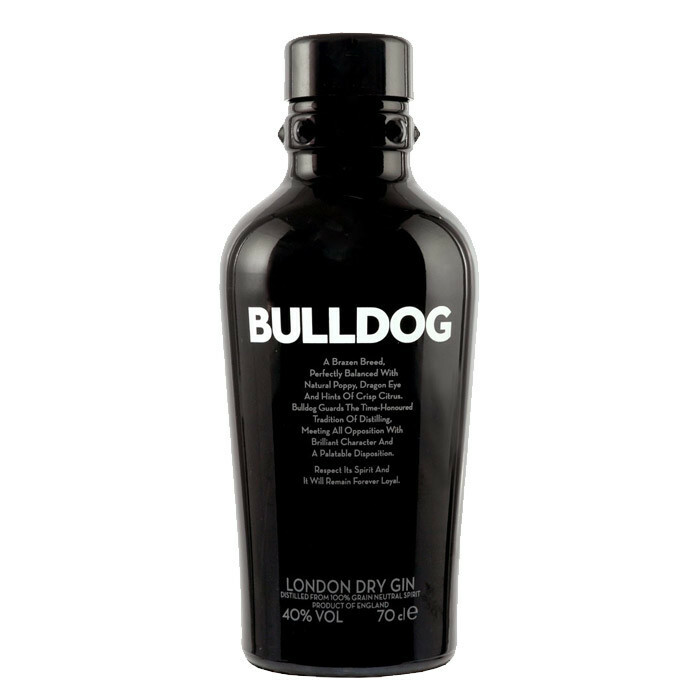 Bulldog is distilled on a base of triple distilled British wheat base, pot distilled and then bottled at 40% ABV. The nose is slightly floral with lavender, juniper, and a bit of citrus. Some lime and a bit of sweet orange zest. The palate, despite the bounty of Asian botanicals reads more clearly in the traditional spirit. Heavy with angelica, especially mid-palate, the juniper is piney at first and a bit astringent towards the finish. Quiet floral notes whisper but remain as a distant backdrop. The finish has a bit of astringency again, rather medium-short in terms of flavor, it tapers quickly leaving a faint, slight alcohol ringing in the recesses of the palate. The spirit is rather mild, but also somewhat thin. Rather than coating the tongue and evolving, it fades rather quickly.